Nardus stricta (matgrass) is a perennial grass (family Poaceae) that can grow to be more than 1 foot tall and is found in the southwestern ranges of Oregon. It is native to Eastern Europe. 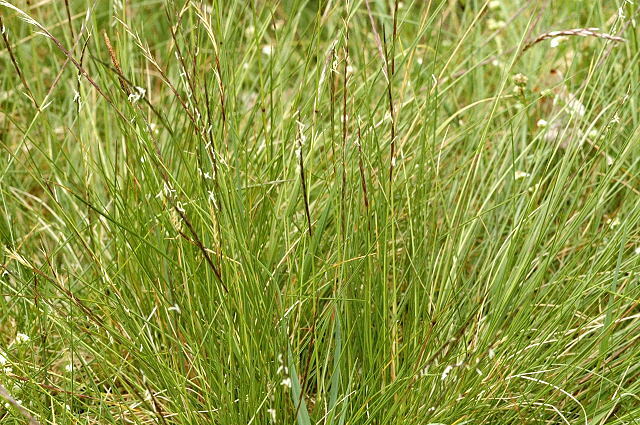 It favors grasslands, wetlands, and bog and marsh habitat. It reproduces mostly through transport of tufts in mud clinging to the hooves of grazing animals. Seeds also attach to the wool of sheep.